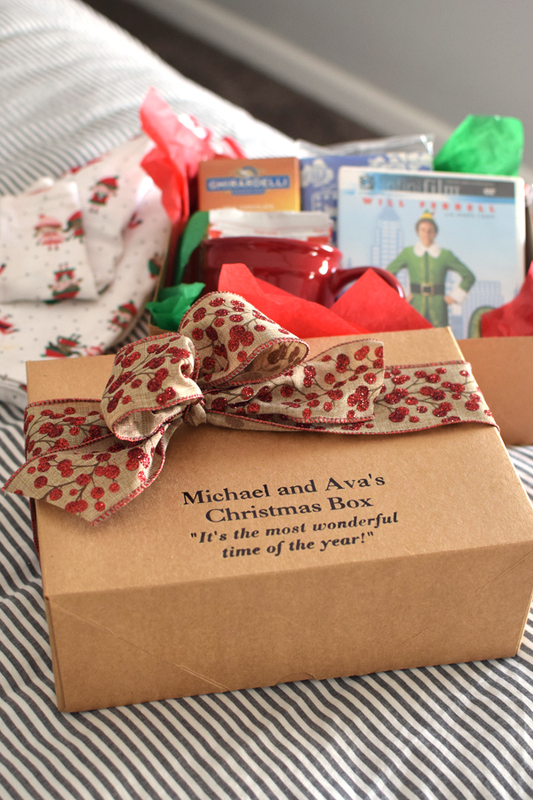 Great for kids Christmas birthday parties, pajama slumber parties, and Christmas cookie exchanges, these custom printed Kraft paper gift boxes are sure to put a smile on any face when filled with holiday goodies. Each box lid is personalized with up to four lines of personalization. Boxes are made from heavy duty, kraft cardstock and measure 10 1/2 inches long by 7 1/2 inches wide by 3 3/4 inches high. Some filler ideas include cookies, popcorn, hot chocolate, a coffee mug, candy, a holiday movie, and much more. Contents not included.